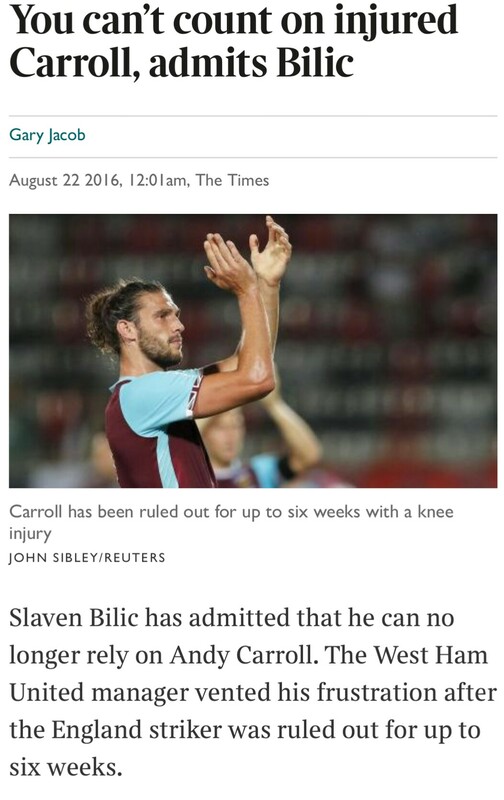 This is actually massive because the manager has admitted what most of us have been saying for years that you can’t rely on Andy Carroll. This will now spell the end of Andy’s disappointing and financially disastrous spell at our club. The only question is when? Im guessing any reasonable offer that comes in will now see him go….